We've used Bandwagon Riverboat to showcase some of the best indie music the region has to offer, and now we're heading straight into the cavernous genres of techno and house for our next iteration. 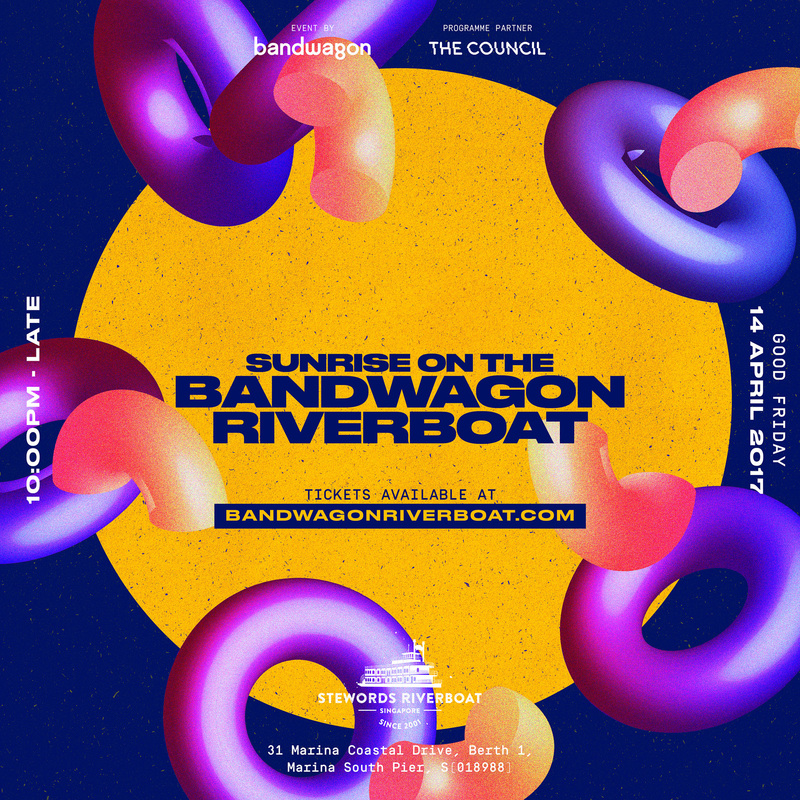 This time, we've partnered up with boutique music agency The Council to present a line-up that will bring the nightlife onto Southeast Asia's only Mississippi Riverboat on April 14th. The party will last till sunrise, after which breakfast will be served. Leading the pack is Oblique Industries, hailing all the way from Berlin. Drawing influences from techno, house, minimal, electro and progressive dance music, his set will be a true highlight on Good Friday alongside Thailand's Boris Rubin and a selection of local powerhouses — Maurice Simon, Brendon P, Cats On Crack, Huntersson, Julien Brochard and Ulysses. 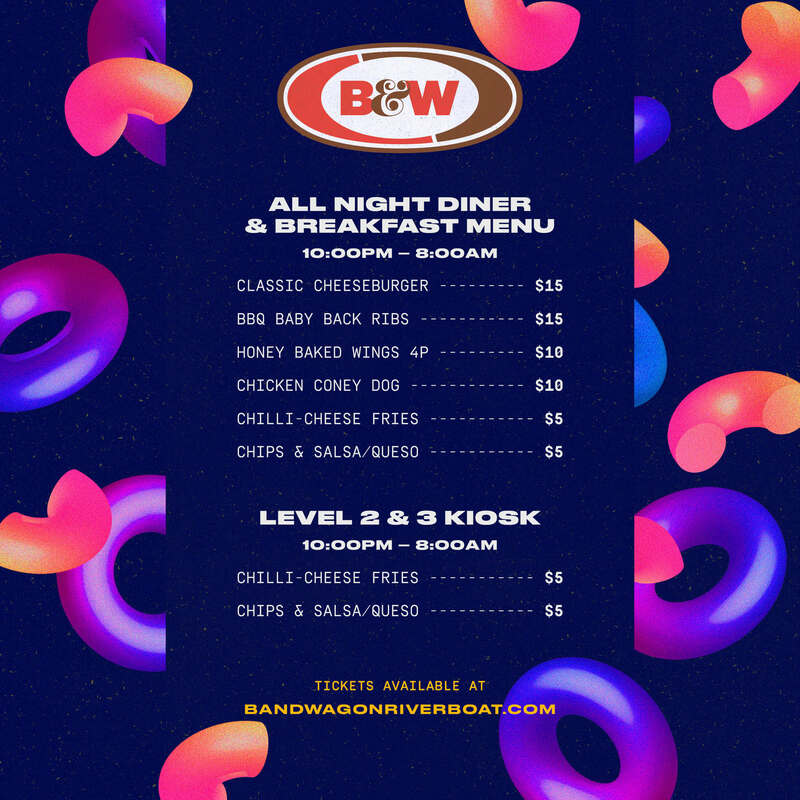 The much-loved “B&W Menu”, which debuted on our last Riverboat outing, consists of coney dogs & curly fries, and it will be back at the All-Night Diner located on the first floor. Operated by the famed Santa Fe Tex-Mex Grill, they will ensure everyone is well-fed throughout the night. Tickets are priced at S$35 (early bird), S$45 (standard) and S$55 (door tickets) and are on sale today, Monday, April 3rd 2017 via APACTix.